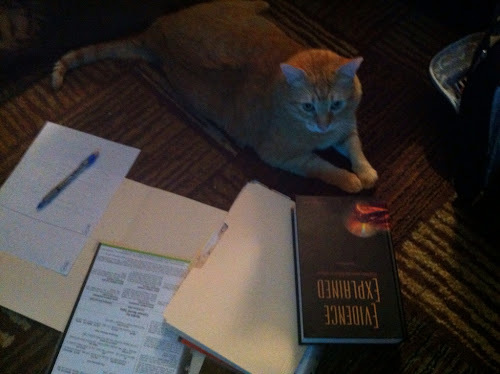 My kitty, Jones2, citing his sources. With so many people around me having milestone birthdays and dramatic family events, it’s not surprising that they are taking stock of their lives. I’m frequently hearing, “This is it?” about life. I’m not sure if it’s my general outlook or my ties to my ancestors or both, but I do not share this view. I look around me--- at my children, my husband, my pets, my family, my home, my job, my world--- and I think to myself, “I must be the luckiest person. This is all wonderful.” I’m not saying every aspect is always wonderful, but just that I have a deep, possibly naïve, gratitude for it all. I’ve been wondering lately if maybe it’s my genealogy that keeps me grounding in this way. Afterall, I know the answer to “Is this it?” -- of course not. My third great grandfather suffering from the measles during the Civil War might have thought, “Is this all there is to my life?” He was in a war, sick, and building bridges under cover of night. Is that all there was to his life? Of course not, Grampa. There is your daughter, Hattie, to come. There is her son, his son, his son and then his daughter—your third great granddaughter who will love you from this many years and miles away. There are all the others in between. Their lives, loves, losses. Trials and tribulations. Of course this isn’t it. My “aunt” Vera. She maybe thought, “Is this it?” She was an “old maid” with only her niece to care for and be cared for after the others passed. She wasn’t a mother or grandmother or even my true aunt. But was this it for her? Of course not. Vera’s lessons and stories live on. Her ancestors’ stories are still there for the telling. The daffodil bulbs she tended still make flowers each year. 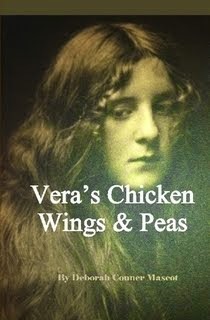 Vera’s Chicken Wings and Peas are served nearly monthly, causing us to remember her often. So was that it for Vera? Of course not. I like to look around me and see the past of those who came before and made it possible. I like to see the present of what’s around me and admire what it takes to maintain. And in doing this, I can see the future of it all. And know that of course this isn’t it. Is it my outlook or is it my genealogy giving me a grander perception, a deep love for the world that allows us to persevere generation after generation? Often, genealogy books fall into one of two categories: how-to or historical fiction. While I enjoy both, it was refreshing to find an author who was able to walk the reader through the hunt for ancestors, sharing the trials and tribulations we all go through as we chase our lines back through generations. From beginning to end, the author walks the reader through his proofs and disproofs of family legends, stories and records. As he found a new item, my heartbeat would speed up, as if it were my own find about my own family. The writing of these parts was moving and I enjoyed spending my time researching his family with him by reading his words. If it were only this, I would have still loved this book. 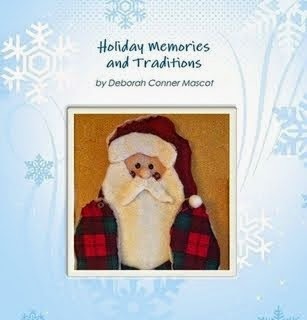 But to elevate it to even a more amazing level, every other chapter was devoted to telling the Gaelic story of his MacDonald family in great detail, but written from that time. I was able to learn about Scottish clans and old Scotland, by living it in the stories woven by the author. I thank him for lending me his grandfathers before him and allowing them all to weave a tale for me that makes me imagine my own Scottish grandfathers’ lives. 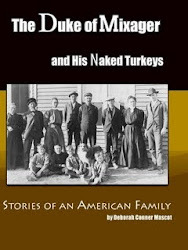 You can find this book on Ancestry in a paperback or Kindle version. 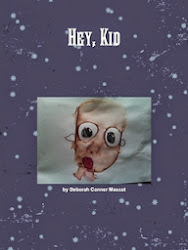 Disclosure: Ryan Littrell sent the author of this article two copies of this book to review—the Kindle version and a paperback version. However, I will share that I have purchased two paperback copies of my own to give as gifts. And I may order a third for another birthday coming up! The other morning as I was driving to work in traffic, I remembering the presentation I gave for the Livermore-Amador Genealogical Society. I was thinking about other presentations I could do for a smaller group that I’m in and I thought of the Pioneer Corps of the Civil War. I want to learn more about them, so why not also do a presentation? Then my mind wandered (as it often does…). I considered my grandfather from the Civil War, Miles Price-- how much I know about him and how I could give a whole presentation about him in general. Then I wandered in my head to what I DON’T know about him. Then it wandered to Dad and I working together to learn more about him. Then it wandered to Dad-- as most things do. I was pondering what happens After. Is there an After? If there is, what do I want it to be? So then I planned a Dinner Party in Heaven. If I can just decide what is After, I’m deciding that it’s all my ancestors at my beck and call. I will throw a dinner party, featuring a long table with towers of cheese (my favorite food), bottles of wine, and all kinds of delicious delicacies. I sit at the head of the table (it is MY heaven, afterall). To my right is my dad and to my left is Miles Price. Dad and I have our heads close together, balanced on our hands in rapture with Miles’ voice. As if engulfing our minds of all he is telling us makes our heads too heavy to hold up without our elbows’ support. Miles will acquaint us with his childhood in Pennsylvania. Who he lived with, what happened to his parents, the names of his parents. Miles will talk of his trip from Pennsylvania to Illinois. When it was, who he traveled with, how they traveled. He will tell us of meeting his wife, of his first born child, his political views. Miles will share the FEELINGS he had during his time in the Civil War. We know what he did and where he went. Until he shared those stories, we didn’t know how he felt. He will let us know he was glad to be chosen for the Pioneers. Or maybe he wasn’t. He will recount us of his time spent in the makeshift hospital on train cars while suffering the measles. He will let us know his most prideful times. His embarrassing moments. He will reveal what it was like to leave Illinois to make his home in Iowa. Then he will hint of his daughter, my second great grandmother. What she was like as a child. She will be to his left at my dinner table, smiling at his words that she’s heard so often. I’m not ready to hear from her yet—I’m devoted to her father for now. Her time will come, so for now she smiles a lovely smile. Miles will spill the beans about how the names of his children were chosen. Who they were named for, why. He will everything, until we know Miles as we know ourselves. It’s only then that I can change positions to focus on another ancestor. Perhaps his daughter, Hattie. 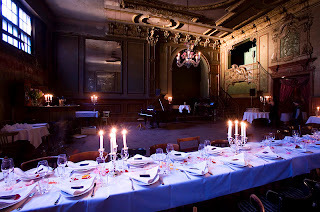 Perhaps other faces at the table will become more clear and my focus will be shifted at my Dinner Party in Heaven as it is on my genealogy on earth. Maybe I will see my maternal second great grandmother, Laura Wilkinson. I have some questions for her about her life, too. Perhaps I will notice down at the end is my second great grandfather, husband of Hattie. I can give him a hug and a kiss. He remembers me from that time we met when I was two years old. My great grandfather is to my Dad’s right, with his wife and my two grandmothers next to her. They all knew each other and are talking amongst themselves until it’s their turn. My Dinner Party in Heaven will be wonderful and may be so long that turn into my Breakfast Party in Heaven… days later. I think I’ll start mapping the seating arrangements and planning the menu. I Was A Genealogy Speaker!